This series of posts examines the historical reliability of the New Testament books of Luke and Acts by comparing these books to other ancient textual sources and the archaeological record. In addition, background information on key elements of the various narratives is also given. One of the persons mentioned in Luke 3:1-2 is "Philip, tetrarch of Iturea and Traconitis." In addition to this biblical reference, the 1st-century AD historian Josephus also refers to Philip and notes that he was the son of Herod the Great and Cleopatra of Jerusalem (Antiquities 17.1.3). Having been born in c. 22 BC, Philip was assigned a portion (i.e., Iturea and Traconitis) of his father's kingdom when the later died in 4 BC. Philip ruled until he died in his own turn in AD 34, and Josephus refers to Philip as a "person of moderation and quietness in the conduct of his life and government" (Antiquities 18.4.6). Interestingly enough, despite his apparent affinity for "moderation and quietness," Philip married Salome, a woman with at least one episode in her life that was anything but moderate and quiet. By way of pedigree, Salome was the daughter of Philip's half-brother Herod (tetrarch of Galilee) and Herod's stolen wife Herodias. 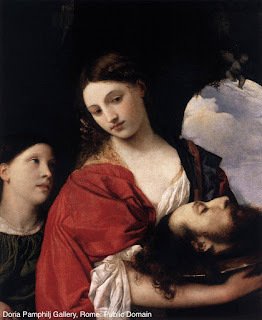 Further, as a younger woman she is actually the one who danced for this same Herod and his dinner guests, which, as many are aware, led to Herod's ill-advised promise to give her "up to half" of his kingdom, which in turn led to the violent death of John the Baptist. The sordid details of the event (including the reasons for the death of John the Baptist) are recorded in Mark 6:14-29, and this rather interesting (to say the least) collection of behaviors has ever after been the inspiration for much drama and art, among which is the following work produced by Titian, the Venetian Renaissance master, in c. 1515. In addition, Philip reconstructed the city of Paneas (originally named for the Greek god Pan) and renamed it "Caesarea Philippi" (after Caesar Augustus and himself) to distinguish it from "Caesarea Maritima," which was constructed by Herod the Great along the shore of the Mediterranean Sea. 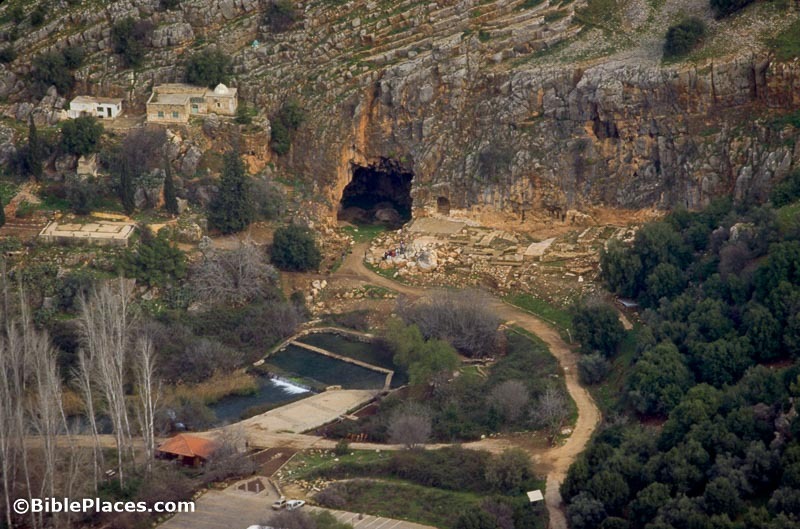 It was in the region of Caesarea Philippi, which is north of the Sea of Galilee, that Jesus asked his disciples, "Who do people say the Son of Man is?" In reply, Peter proclaimed, "You are the Messiah, the Son of the living God" (Matthew 16:13-20). 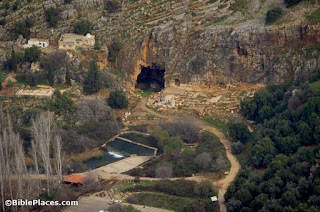 The following aerial photo shows the ruins of Caesarea Philippi including the Cave of Pan (near center of photo) into which offerings to the god were placed. By way of additional note, the 1st-century AD Jewish philosopher Philo makes reference to Philip when he says that Agrippa, "the grandson of Herod the king," was eventually given Philip's territory to rule (Flaccus, V. (25)). Where is part 1-3 posted? I would like to read the whole series if possible. You should be able to find them with this link. Thanks, this is interesting reading. Thanks for your work.